Larry Zywicki is the Director of the BETA Platform Interactive Solutions at Refinitiv. In this role, Larry manages strategy for a multitude of products including the Advisor Desktop and Tools, and the Trading Tools for Front, Middle and Back Office, including Basket, Block, Complex Options, Single Order Entry, Rules Engine, and Review and Release, along with a multitude of integrated partner solutions. Working with his team, Larry prioritizes and oversees the strategic direction and development life cycle of these products. Larry also manages the vendor supported offerings for Mortgage/TBA processing, UIT trading and REPO, and is currently leading the multi-year initiative for the enhancement of the platform’s institutional and multi-market/multi-currency offering. Larry started in the industry working in a large retail brokerage firm based in Milwaukee, where he managed its Futures clearing business, later transitioning to a management role in the firm’s clearing operations at the Chicago Board of Trade. He then took on a position managing the settlement of institutional business, both domestic and foreign, for both fully disclosed and correspondent clearing client firms. In 2003, Larry accepted a position at Thomson Reuters as a Trading Business Analyst and has since held roles as Senior Manager of Development and his current role with Refinitiv as Director of the BETA Platform Interactive Solutions. 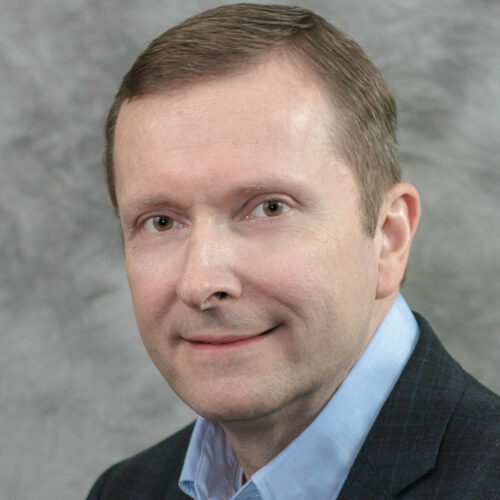 Larry is a graduate of the University of Wisconsin-Milwaukee with a Bachelor of Business Administration degree in Finance, and is a Certified Scrum Product Owner. Larry is also a graduate of the Securities Industry Institute executive development program at Wharton.